Optimized for international SEO, AWR offers support for managing keywords with special characters. 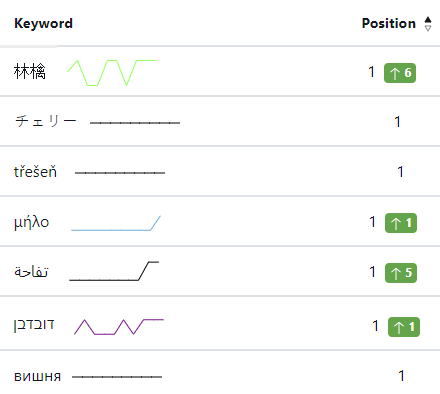 Keywords in can be written in any alphabet: Latin, Japanese, Chinese, Korean, Arabic, Greek, Hebrew or Cyrillic. import them from a CSV file with UTF-8 encoding. When it comes to reporting, the special character set is applied automatically on the files produced by the AWR system, regardless of the file format (HTML, PDF or CSV).